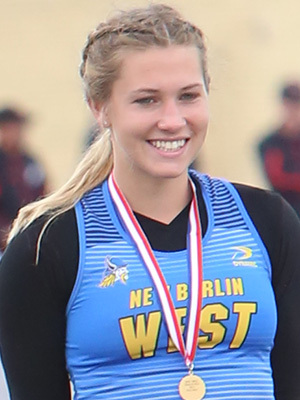 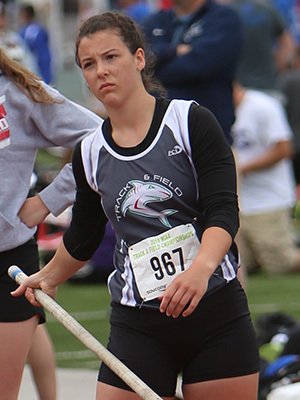 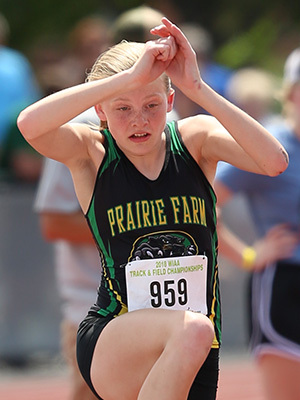 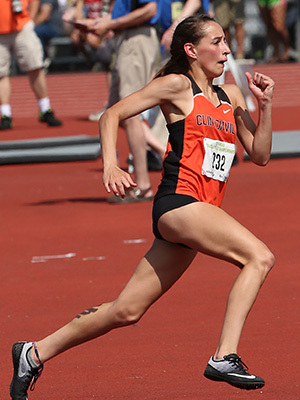 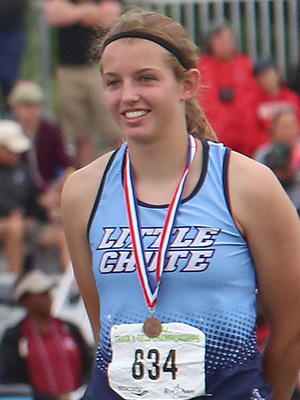 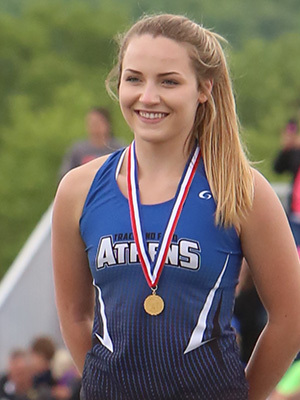 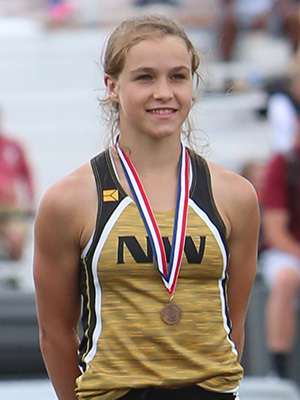 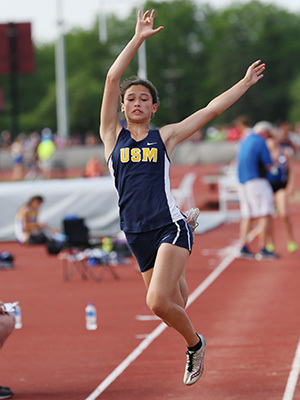 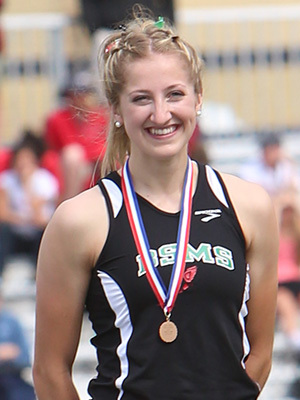 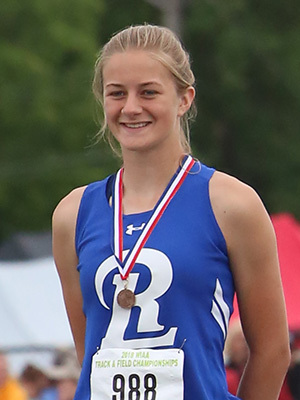 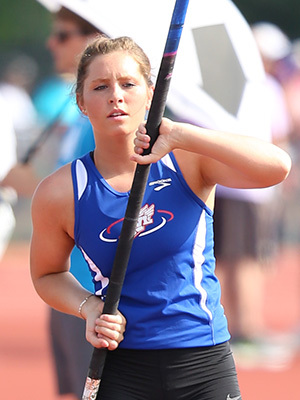 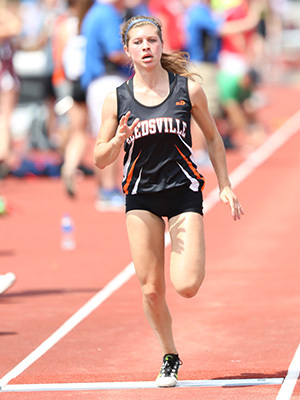 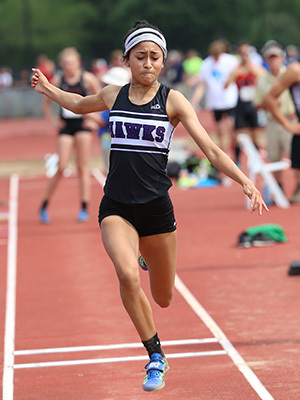 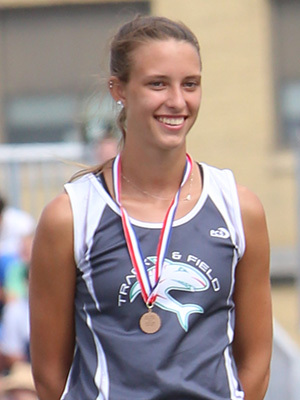 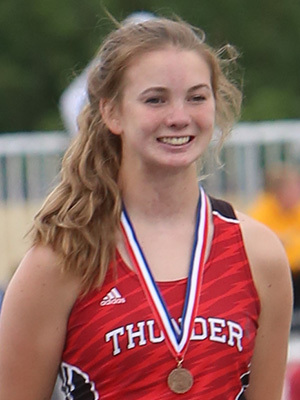 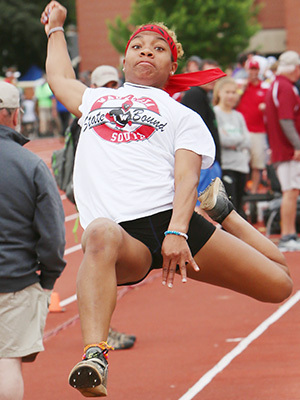 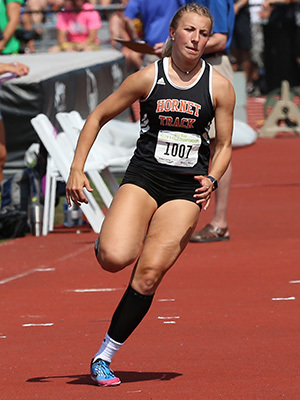 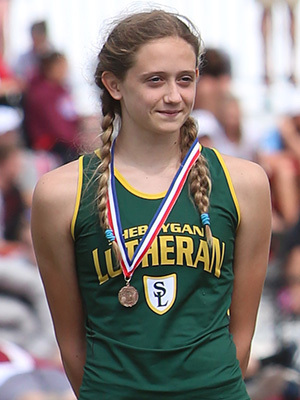 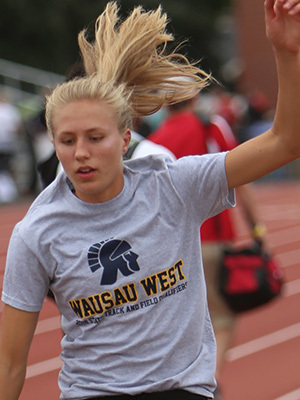 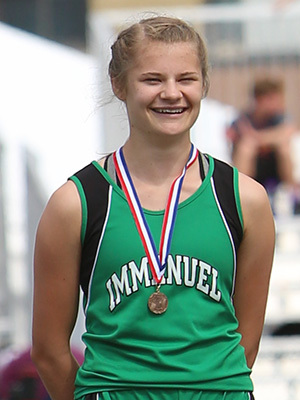 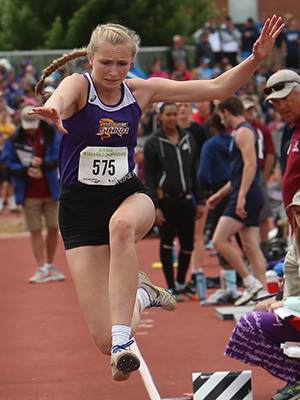 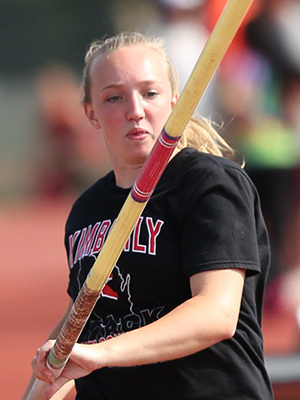 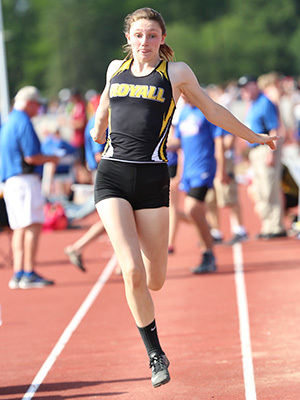 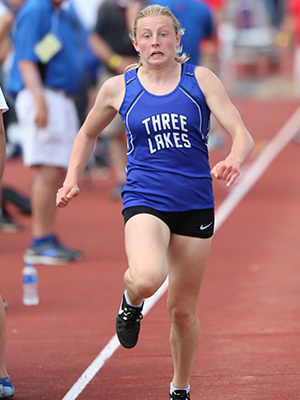 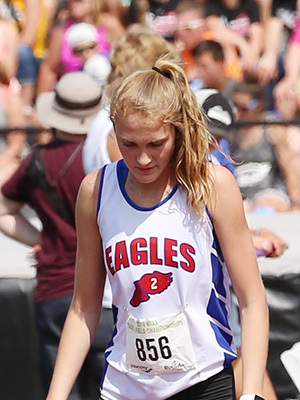 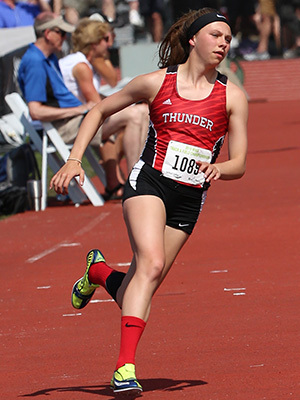 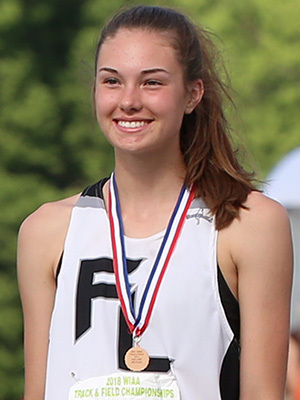 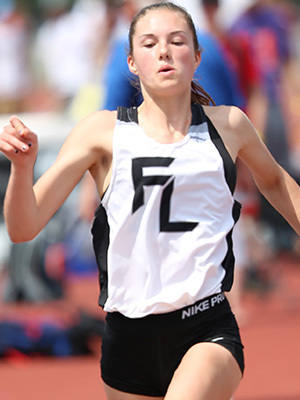 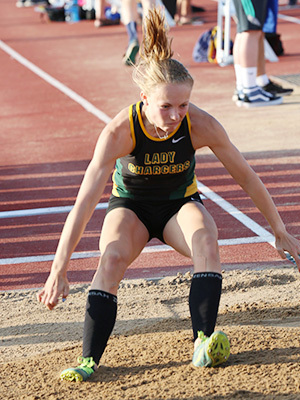 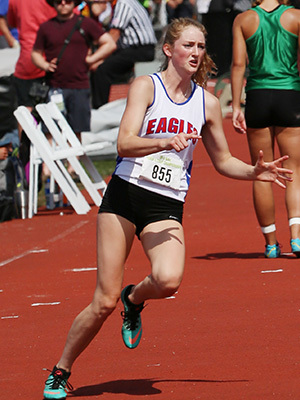 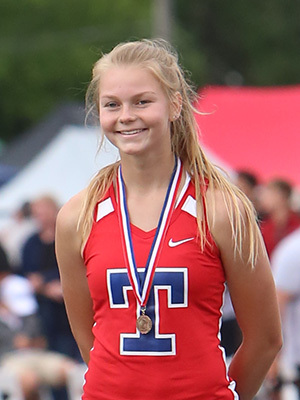 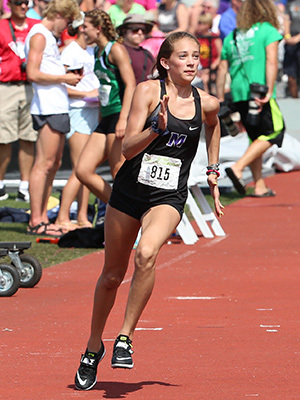 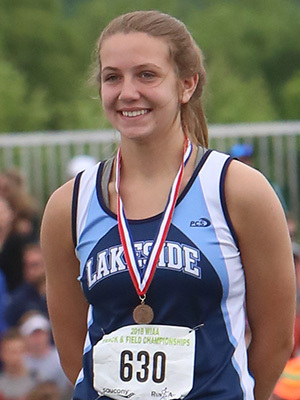 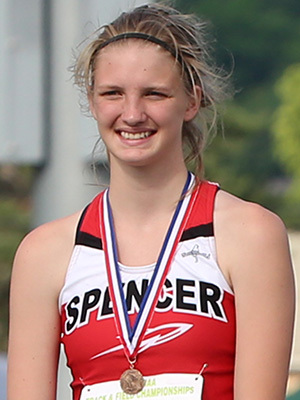 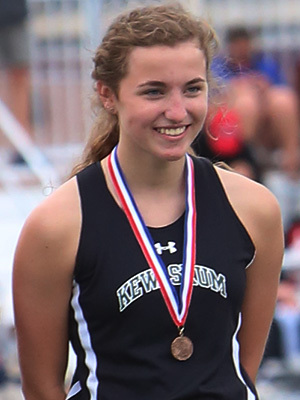 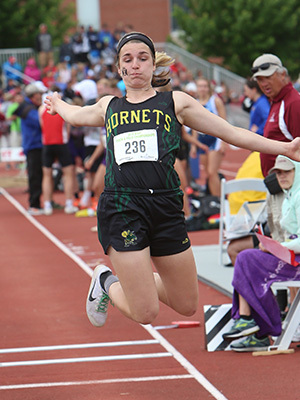 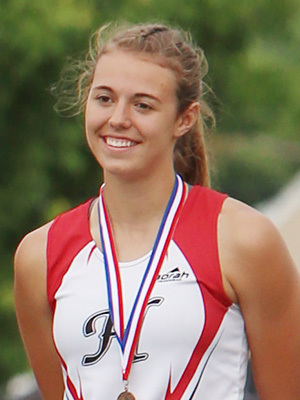 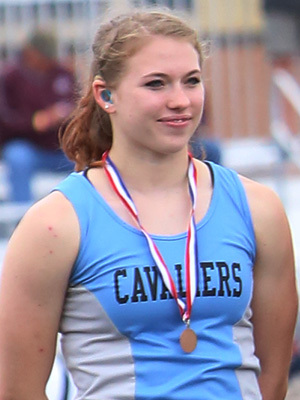 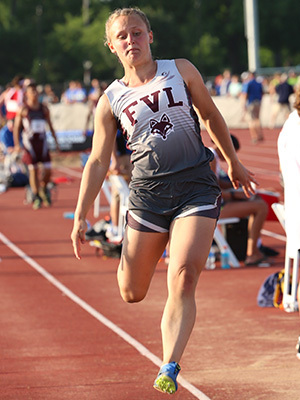 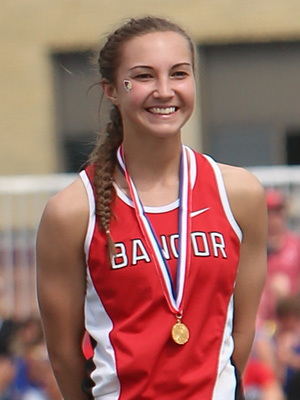 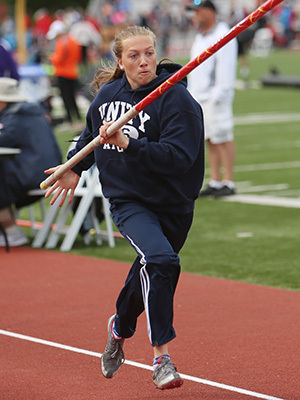 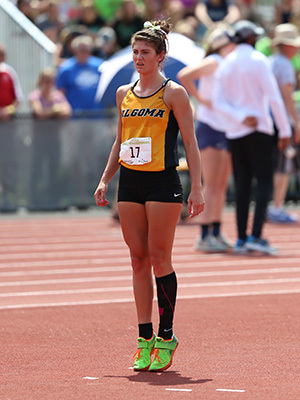 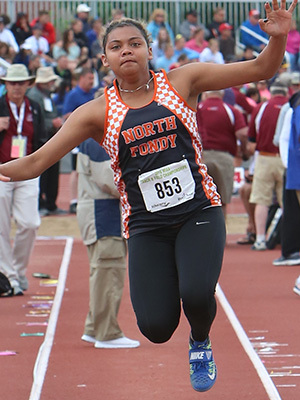 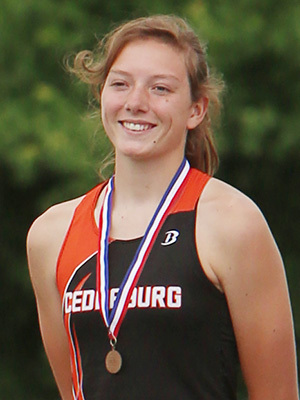 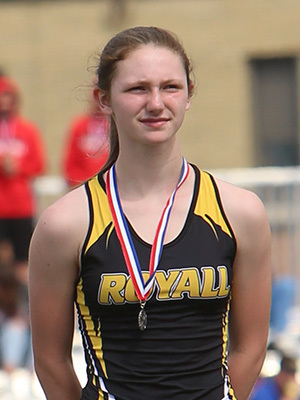 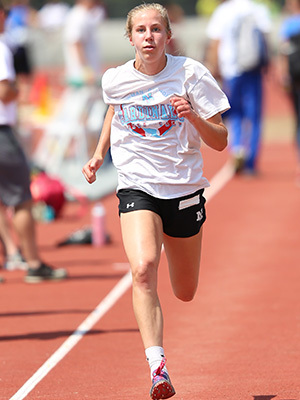 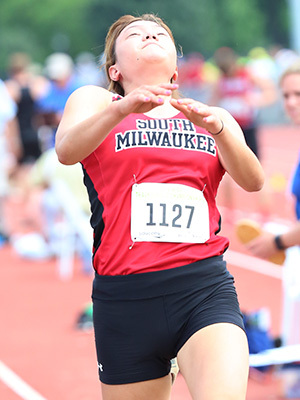 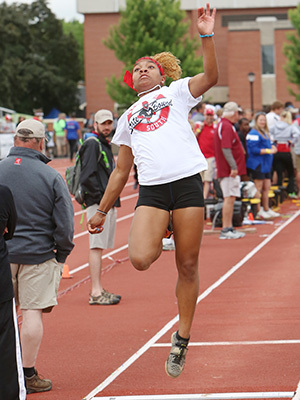 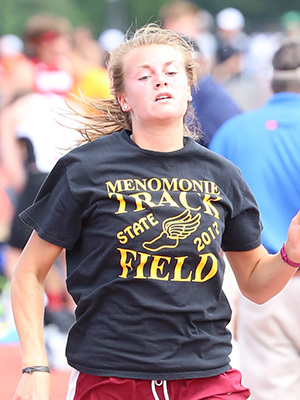 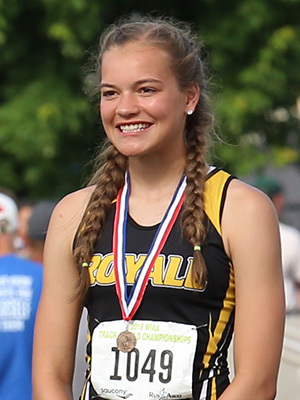 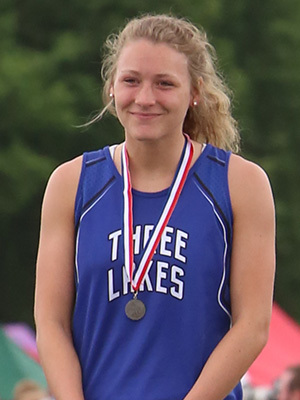 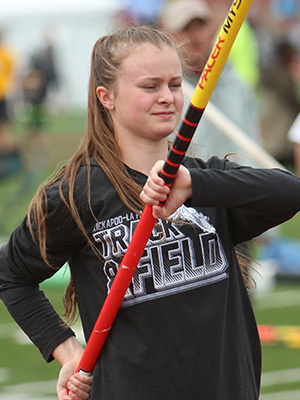 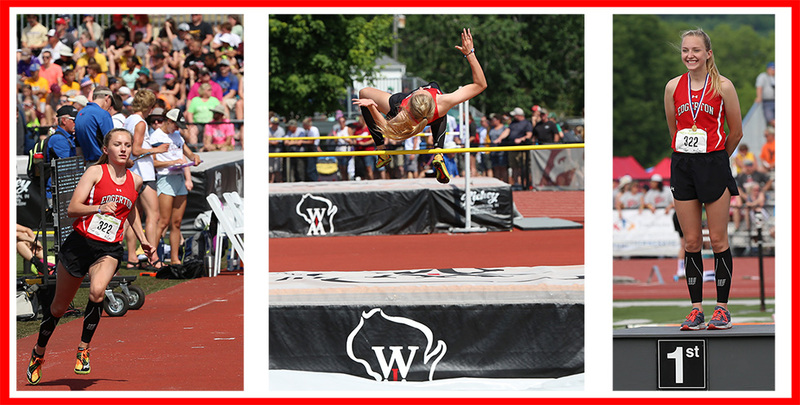 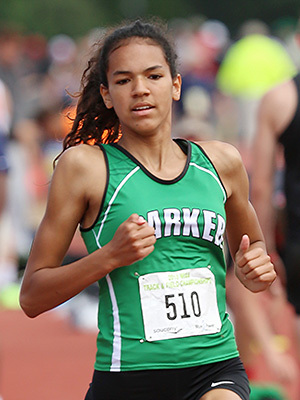 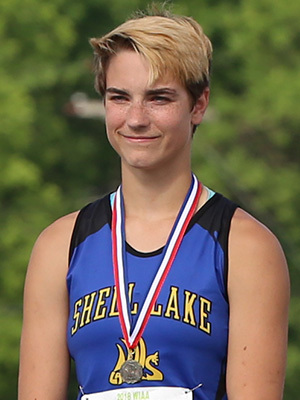 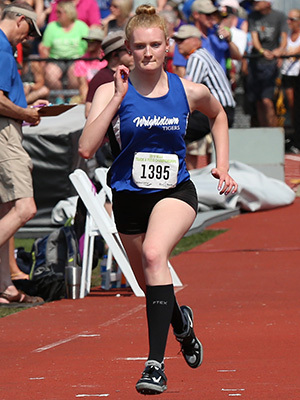 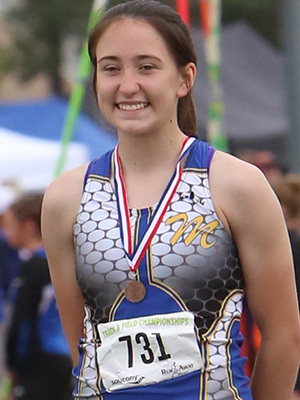 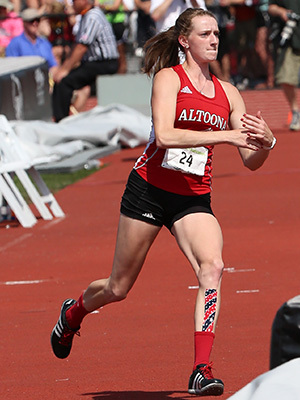 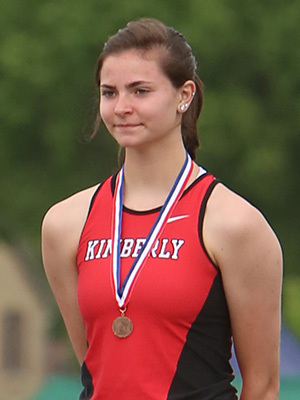 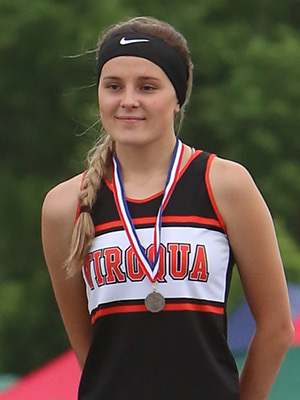 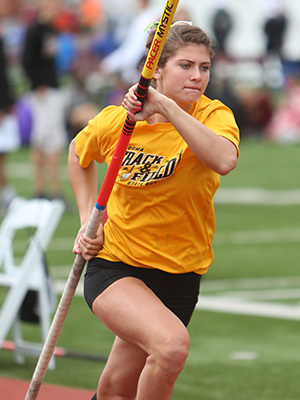 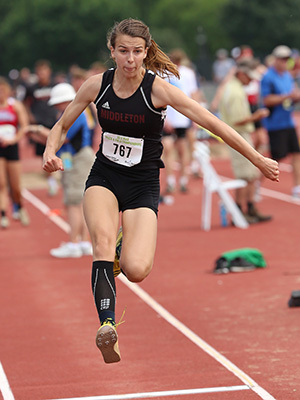 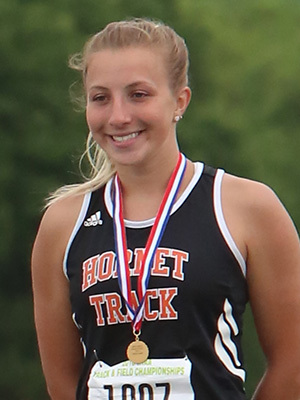 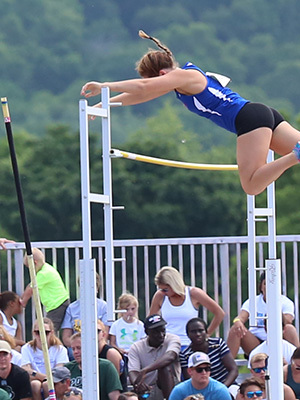 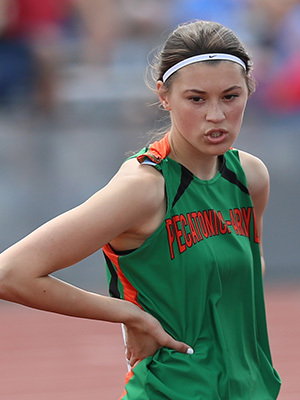 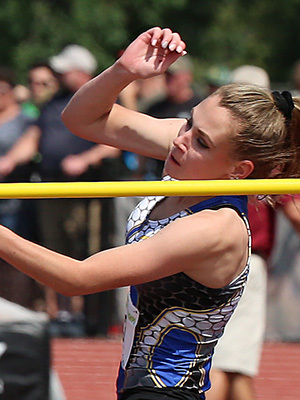 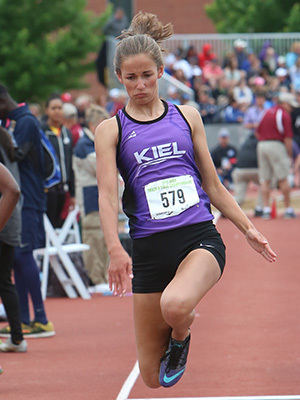 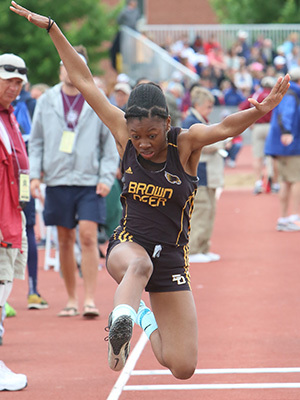 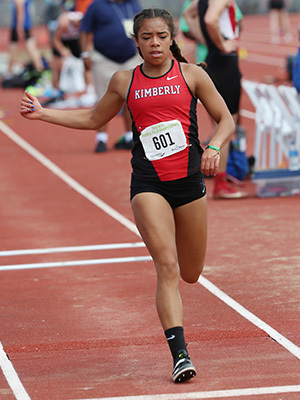 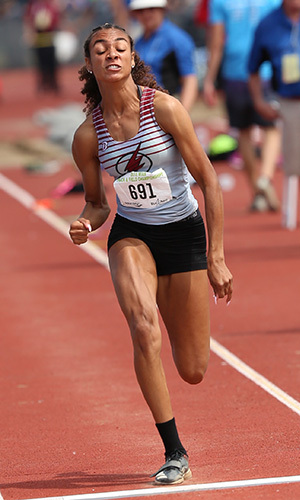 As a ninth grader Ashlie Lockington from Bangor won the TJ Gold Medal at the 2016 WIAA State Meet. 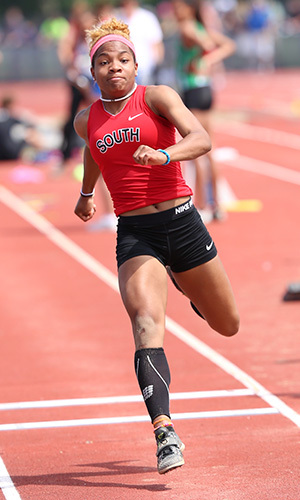 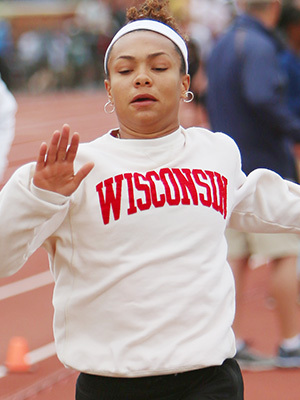 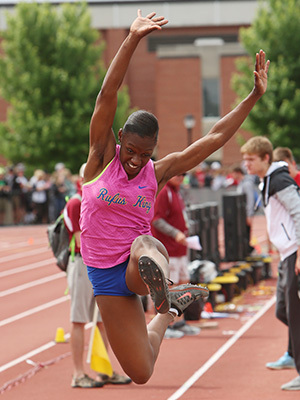 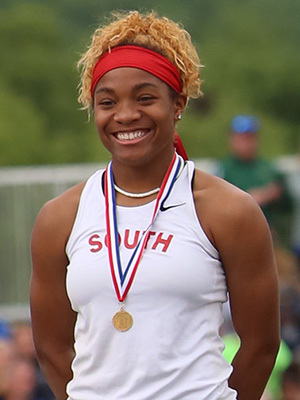 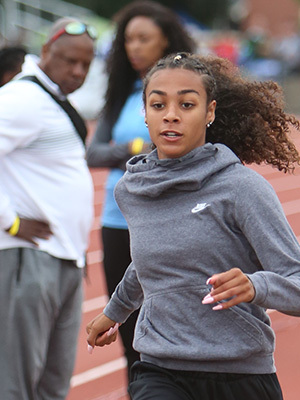 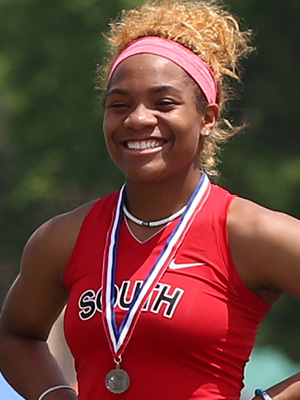 In 2017 she won the Silver Medal in the TJ. 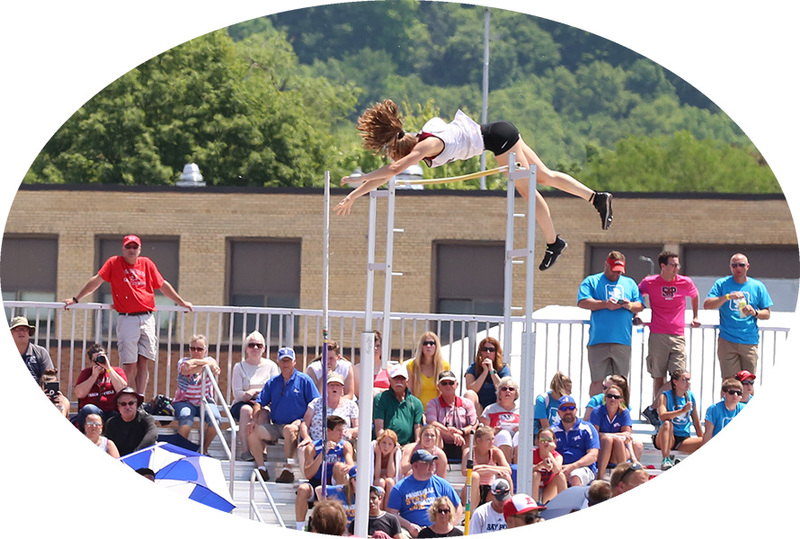 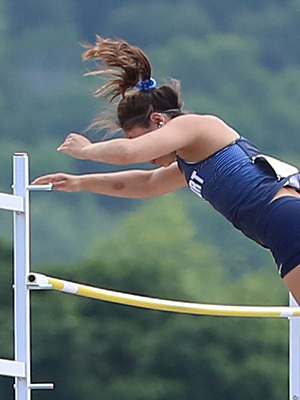 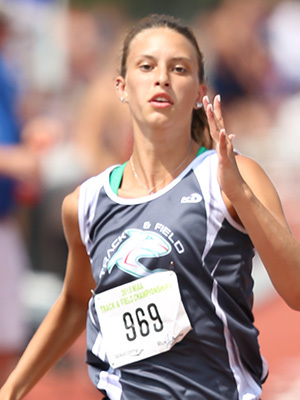 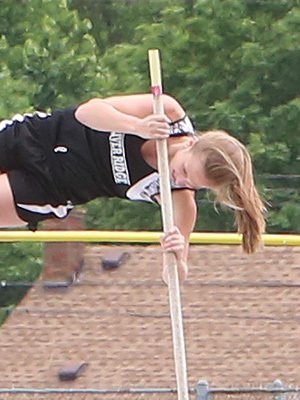 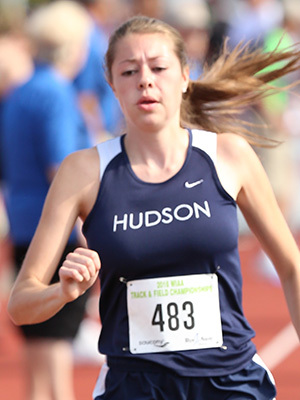 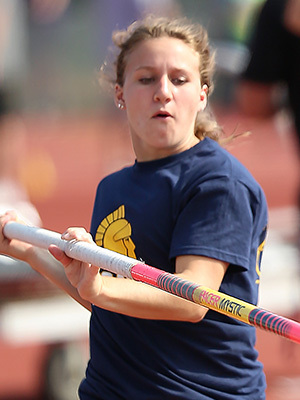 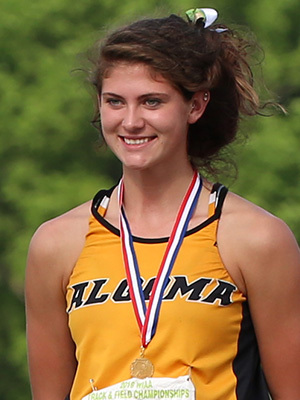 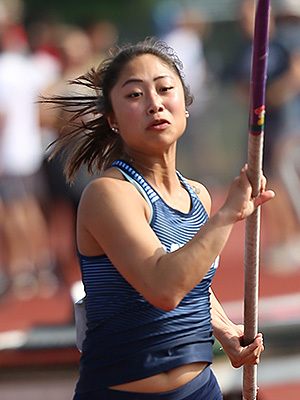 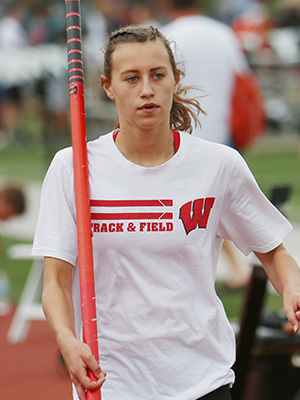 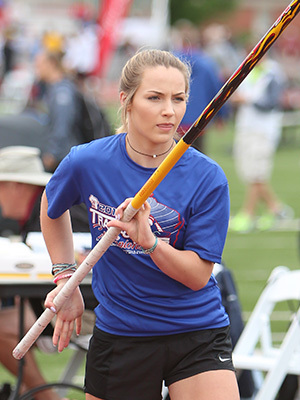 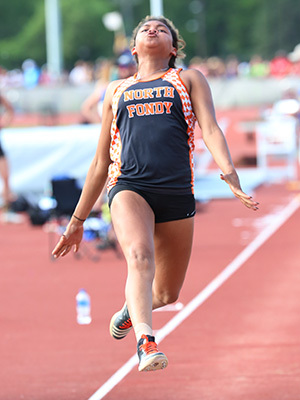 Heather Hyland from Nekoosa had set the previous LJ record of 18' 11 in 1993. 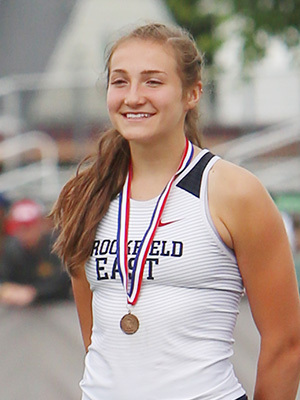 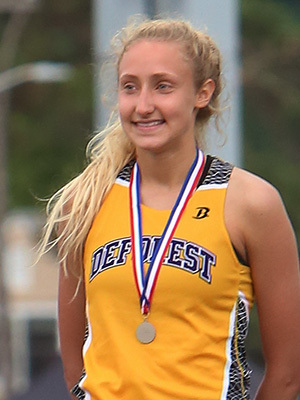 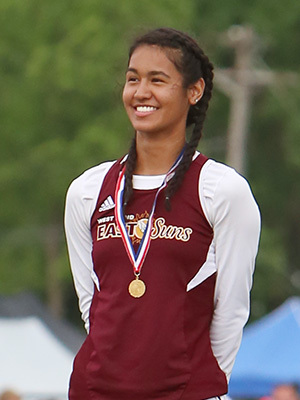 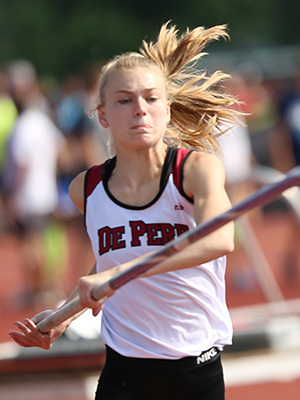 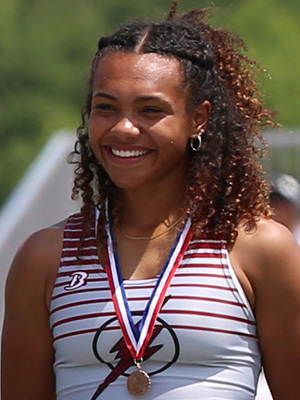 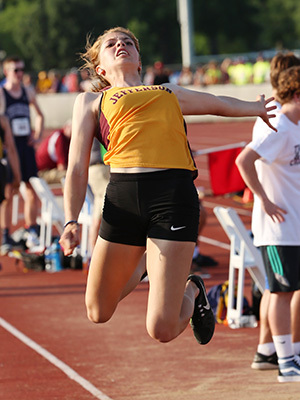 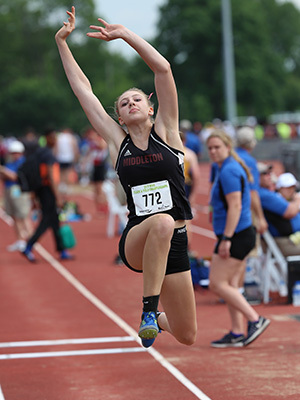 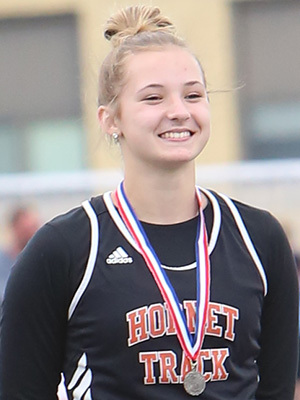 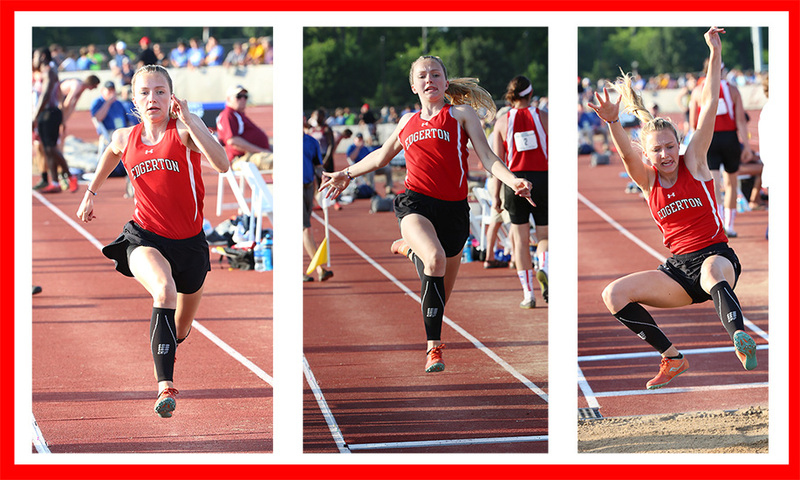 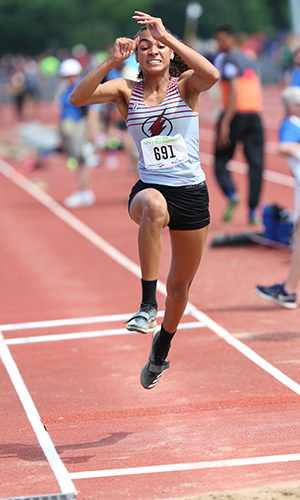 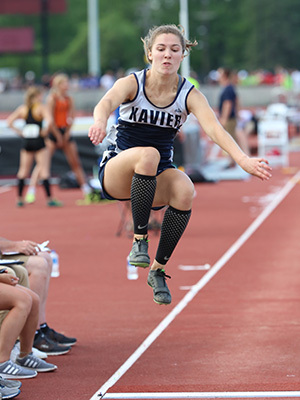 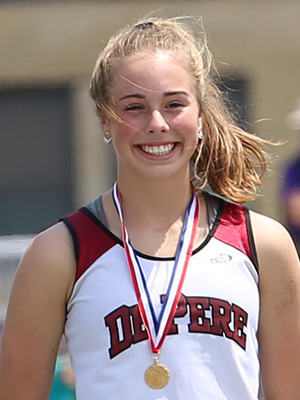 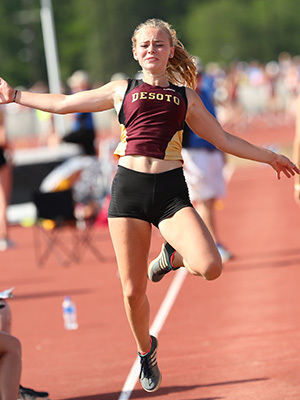 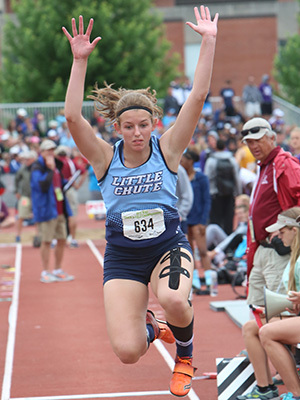 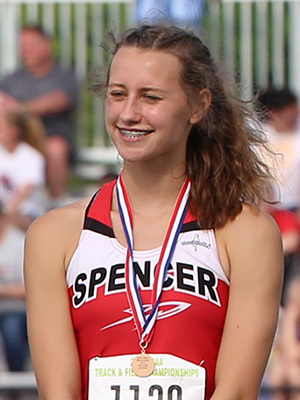 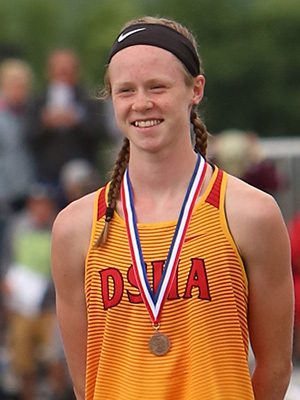 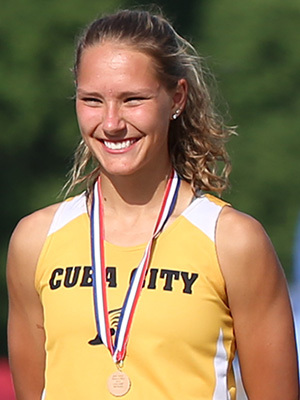 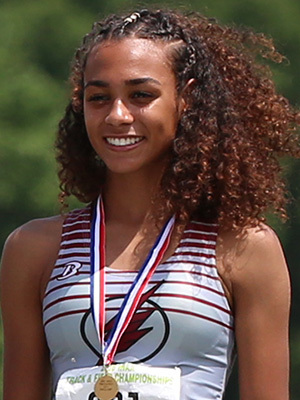 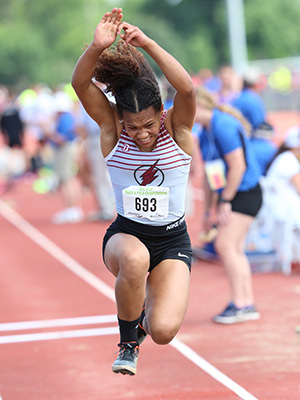 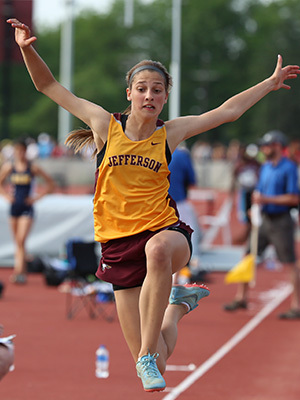 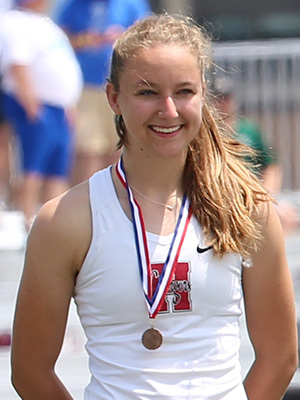 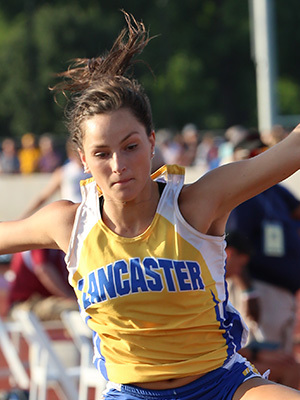 Edgerton's Ashlyn Oren not only won the D2 LJ she broke Hyland's record with a jump of 19' 01.25.